Harald Genzmer (1909–2007), Paul Hindemith's most significant pupil, is considered one of the internationally best-known composers of the 20th century. Organ music occupies an important place in his extensive and multifarious musical oeuvre. 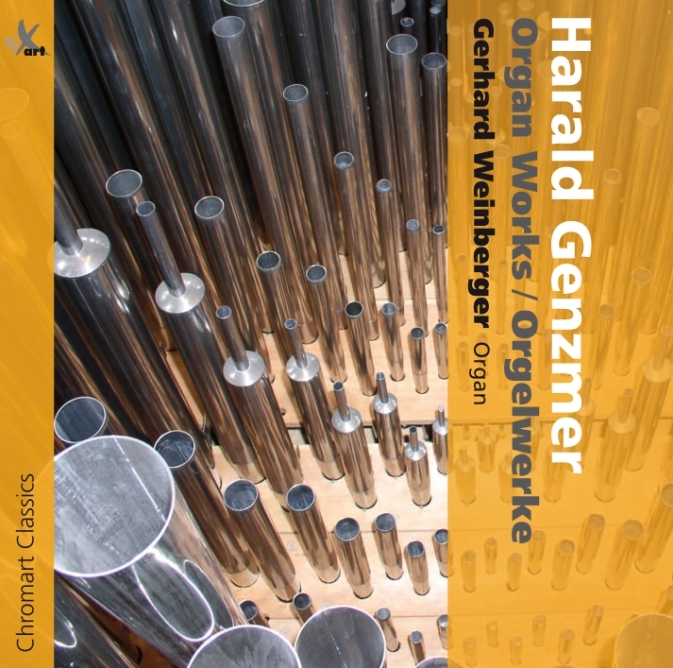 Gerhard Weinberger, who has intensively occupied himself with the organ works of Genzmer for decades and worked on many of these with the composer himself, performs substantial works of the composer on this CD. He presented the world premieres of some of these works. Festive Prelude, GeWV 407, Easter Concerto, GeWV 400, Fantasy on the Chorale "Hinunter ist der Sonne Schein", GeWV 411, Pentecost Concerto, GeWV 399 and the Symphonic Concerto No. 2, GeWV 409 are heard here on the Rieger organ in St. Johannes Baptist Paderborn-Wewer (Germany) in outstanding interpretations on this CD world premiere recording. »Inspiring stuff to sharpen the brain and raise uplifting smiles. »Neue CD als ausdrückliche Empfehlung! [...] gehört in meiner Wahrnehmung mit zum Spannendsten, was es derzeit zu kaufen gibt. Und so sollte sich niemand, der sich ernsthaft für Orgelmusik interessiert, dieses Orgelhighlight entgehen lassen. CD Album: World Premiere Recording and First Release!